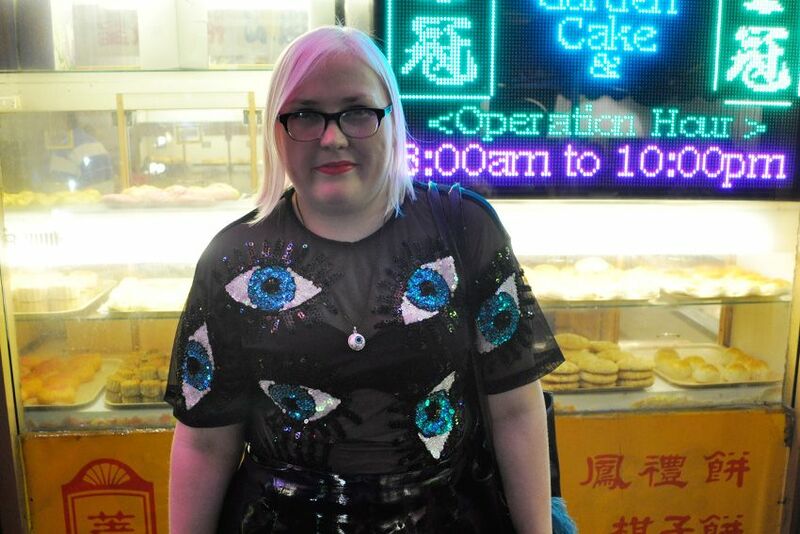 This eyeball top by my friend's Nadia and Cami of Melboure label DI$COUNT only arrived in the mail yesterday but its already changing my life. Well not really, unless you call having drunks come up to me with witty one liners such as "Eye see what you've done there" (get it?) BUT it did immediately put to shame all other tops in my wardrobe making it necessary to change my outfit right then and there. 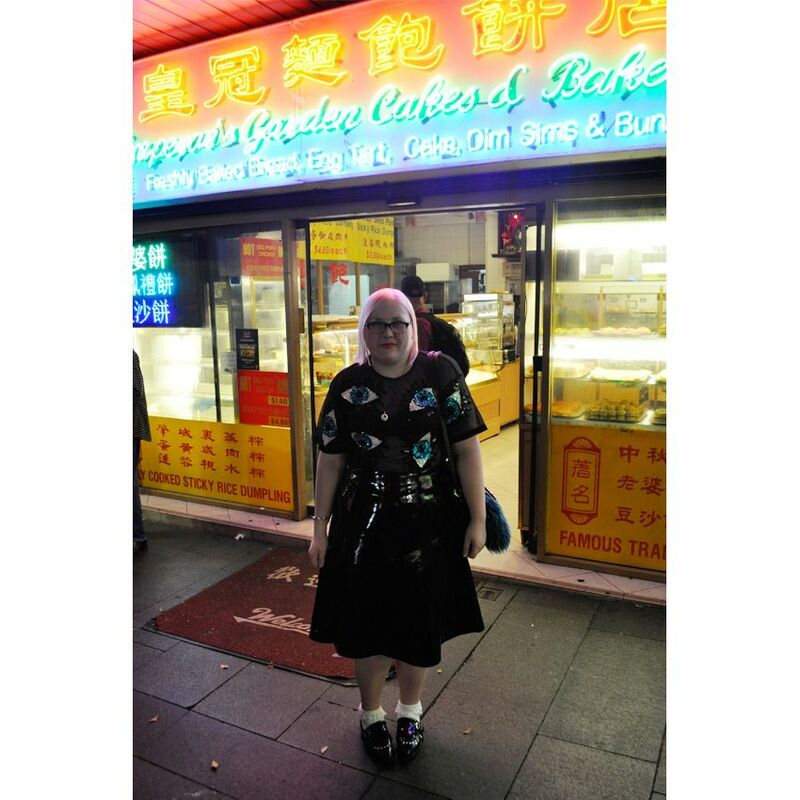 So this is what I wore last night to see Alpine play at the Metro (who were amazing as usual live) stopping for a yummy dinner in Chinatown on our way down (if you want to see what and where we ate and other life updates follow my instagram fashionhayley). 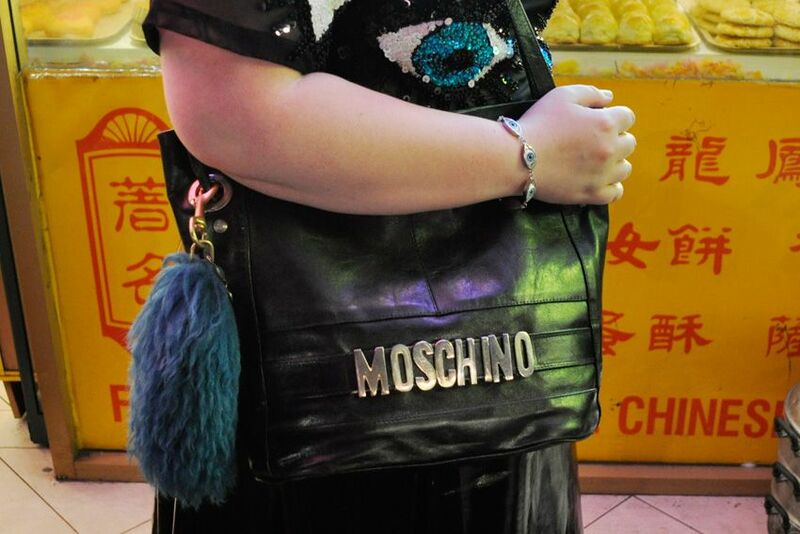 Outfit photography at night is always problematic as flash makes everything look horrible. We found the brightest spot we could, right in front of the famous Emperor's Garden bakery, where there is always a line for their four for $1 custard puffs. Eyeball bracelet Fashiondacci in Melbourne. OBSESSED WITH THIS! that shirt is blowing my mind. you are my hero hayley! Oh that top is just the greatest! And I am Christina, the awkward fringed stalker from last night! Thank you so much for not being too weirded out haha! i love the top bad!!! and the lightening is really good too! Amazing otfit, love the eyeball theme. I'm also super obsessed with that skirt, its fantastic. 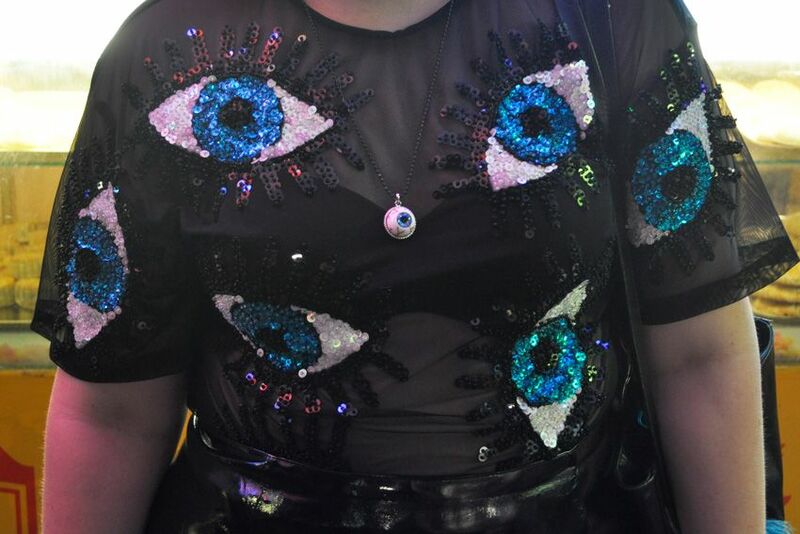 Ahhhhhhhhhhhhhhh my dear Hayley, the eye top is to die for. Thank you for your commet. Whoaa! That shirt is crazy in the best way. your top is so magical! Hayley I saw you at Lisa Mitchell's concert on fri!!!!!!!!!!!!!! !